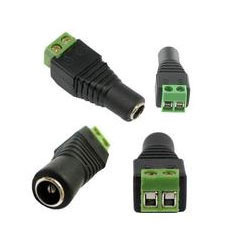 Some of our machine vision cameras provide a separate connector for the trigger input that could come from an encoder or proximity sensor. This cable can be bought directly from soliton. Known for manufacturing, supplying and trading an extensive collection of high grade Security Cameras & Systems, Multi Infotech was established in the year at 2001. The product array offered is inclusive of optimum quality Dome Cameras, CCTV Security Cameras. Offered range are manufactured from high quality input factors, which is given by authentic vendors of the industry. With the support of latest machines and technology, our talented professionals precisely designed in accordance with the industry defined norms. These products are highly admired for their attractive features like sturdy construction, durability and high functioning. We deal in Hikvision, Dahua, CP Plus etc brand. We have a state of art infrastructure unit at our end. It is equipped with the modern machines and tools for the fabricating process of the offered products. We have hired a pool of highly skilled and talented professionals to carry out all work related to our company process. All these professionals are selected on the basis of their working experience, skills and relevant domain knowledge. To suit the varied demands of our valued clients, we are offering these products at leading market price.